The massacre at Sandy Hook Elementary School in Newtown three years ago took place during the week leading up to Chanukah, the Jewish Festival of Light. I went from one synagogue to another, looking for a place to say the mourner's prayer, but every synagogue I visited was hosting celebrations for the first night of Chanukah. The laughing and singing felt like a punch to the gut. I wanted to cry out, "Wait! How can you sing when so many are suffering?" Yes, we must celebrate every source of light in the darkness. But we must not forget why we are seeking light in the first place. 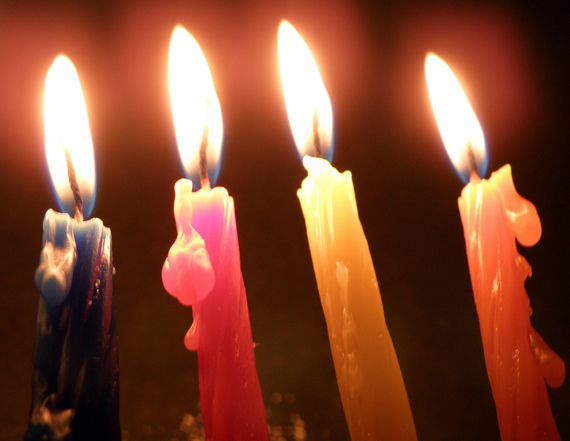 This year, as we approach another dark winter, another anniversary of the Newtown shooting, and another Chanukah season, the world is once again reeling from one communal tragedy to another. Paris, Beirut, Syria, and the never-ending violence in the Middle East seem both farther away and closer to me than they ever have before. 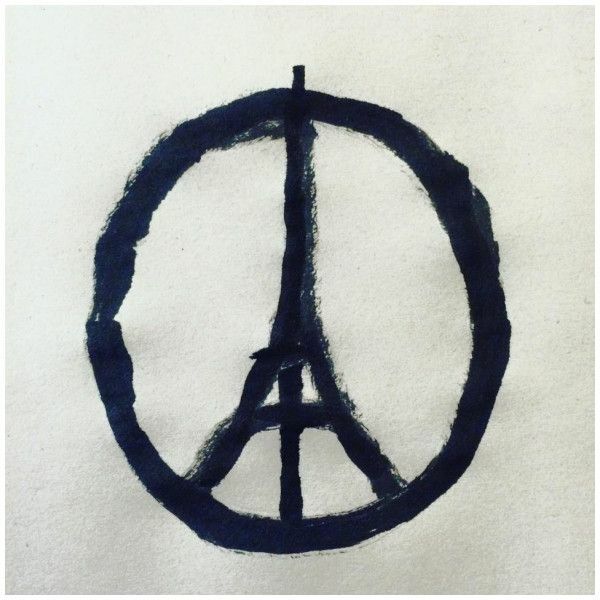 It's painted on my Facebook newsfeed in red, white, and blue flags, and in Eiffel Tower peace symbols. It's in the smiling photos of 18-year-old Ezra Schwartz, a Jewish American kid from Massachusetts, who was studying at a Jerusalem Yeshiva when he was killed in a terror attack. Syria feels distant, despite the immediate comparison between Syrian refugees and my Jewish ancestors. Paris felt terrifying, the death count rising with each browser refresh. Ezra could have been one of the many students I know and love who went to Yeshiva on a gap-year. It's scary watching the degrees of separation shrink. I have to wonder how long it will be before it's someone I know and love, instead of someone beloved by those close to me. I have worked and volunteered in a supporting role for grieving children for many years. I have officiated family memorial services, and have even spoken at memorials for people I've never met. I am a student of grief, and I have a deeper understanding than most about the presence of absence. And yet, I am at a loss in the face of all this loss. When the death of a single person can turn your world upside down, what does it mean to lose so many? There are rituals that Jews perform after the death of an immediate family member. For seven days, we cover our mirrors, sit on the ground, and wear ribbons that are torn to represent the tear in our hearts. As a community, we visit the homes of the mourners, because for the first seven days after a death, mourners shouldn't have to be alone. We say the mourner's prayer every day for the first year after the loss. Jews have other rituals that we practice after any encounter with death. We complete these rituals before we return to our communities for prayer. The ancient ones knew. A brush with mortality can shatter us. We need rituals to remember how to be whole again. When the world is shattering into so many pieces, it seems impossible that anything can return us to wholeness. The losses are at once communal and personal, far away from us, and so close by that we can feel their hands on our shoulders, shaking us from our complacency, demanding response. "I'm sorry," we say to individuals. "Ezra sounds like an amazing young man and his smile reminds me of a friend of mine." "I'm sorry," we say to communities. "I'm sorry you're afraid to visit public spaces after so many were killed at the concert." We attempt to show solidarity through social media, and argue about whom we might be ignoring, by drawing attention to one tragedy in a world of many. These responses express a desperation to say something when there's nothing left to say. We are all complicit in creating a world in which "these things just happen," and that's why it hurts. My only hope is that our collective cries will become a collective cry for change, and that we can be complicit in creating a different world, in which these things can't happen any longer. We are approaching another dark winter, and another bright Chanukah festival. Even if there is no ritual that can return our world to wholeness, maybe it's time to try covering our mirrors, like Jews in mourning, in order to truly reflect. Maybe then we will recognize the other torn hearts around us, and we will look for the light of the candles shining in each other's eyes. I don't know if anything will keep the world from its cycle of shattering and repairing and shattering again. But I hope that if we reach for the light in each other, along with the darkness, we may finally begin to heal.